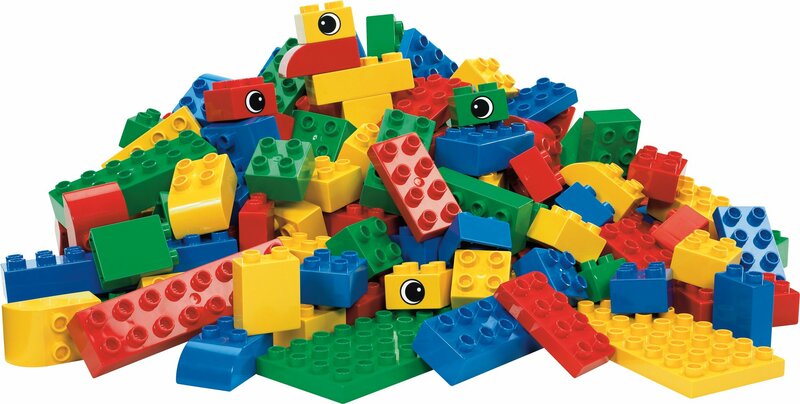 LEGO brick play set helps children develop gross and fine motor skills. Theset has 144 elements, including nonstandard bricks with eyes and wings, forbuilding various structures, in red, green, blue, and yellow colors for visualinput. (Colors may vary based on availability at the time the product ispackaged.) The set is versatile for using on its own or as supplement to otherLEGO DUPLO sets (sold separately), and is suitable for age 18 months andolder. Since 1980, LEGO Education has delivered hands-on, curriculum-based resourcesfor teachers and students worldwide. LEGO Education believes a hands-on,minds-on approach helps students actively take ownership of the learningprocess and develop 21st-century skills such as creative thinking and problemsolving through real-life, engaging experiences. From the Manufacturer A useful addition to any DUPLO set. Includes extra building plates, anddecorated and curved bricks - just what every young designer needs!